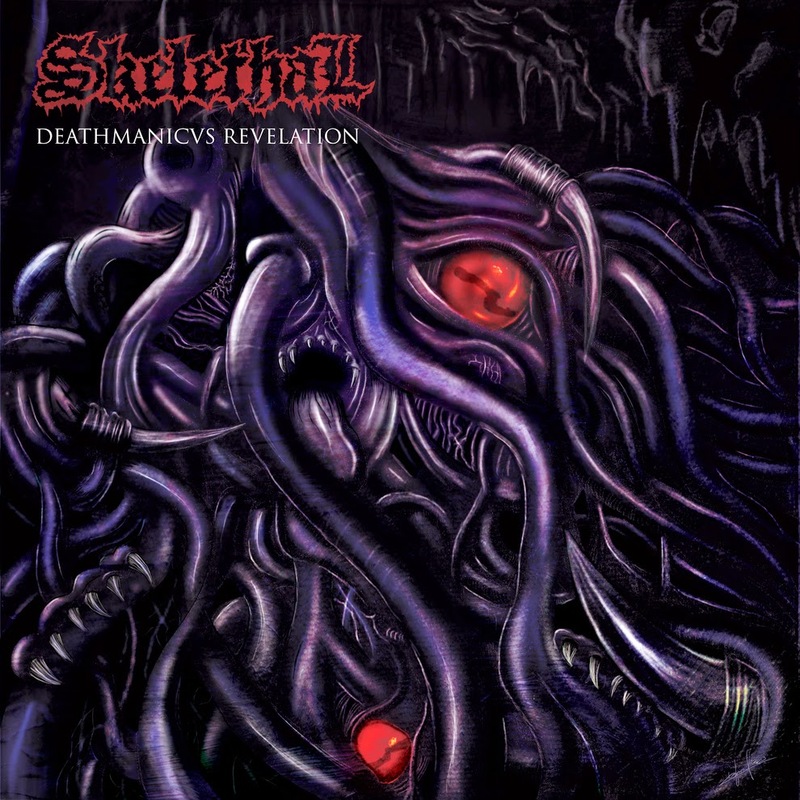 New to the underground are the French death metal duo Skelethal. With just one previous demo in their discography at this time it's been too early to form any sort of sturdy opinion on the band, however their second demo, Deathmanicvs Revelation, may change that argument. Although released in the form of a demo, the length and quality of the material would best classify it as an EP. What should listeners be expecting from this slightly kvlt titled release? Deathmanicvs Revelation starts with a chilling Lovecraft inspired intro track, complete with atmospheric sounds such as rain, thunder and creepy choirs before bursting into a hellfury of instrumental thrash madness. The content is shrouded in a low grade audio quality that gives a grainy static to the guitars and percussion that summons a nostalgic feel of old school thrash metal, which is further endorsed by the slight echo that surrounds the vocals. 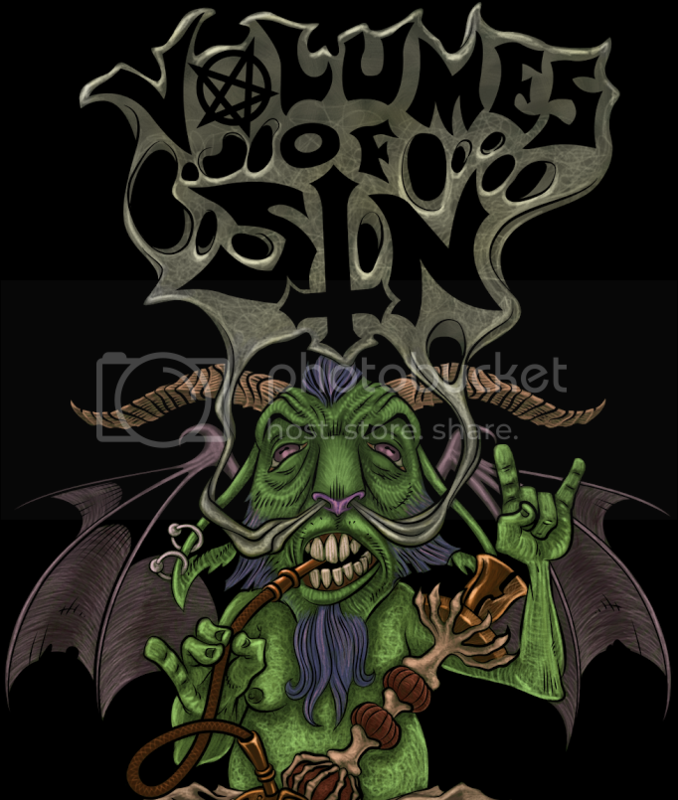 The vocals themselves are deep, gruff growls done in the style of artists such as Acid Witch and Hooded Menace; overall they lack originality and any characteristics that would cause them to be exceptionally endearing, but are still enjoyable and suit the material. The album is infused with a plethora of reckless, high octane solos that fill the listener with energetic bewitchment as fast tempo blast beats and rhythm riffs fill the background to maximum capacity. There are some interludes that slow the content down for brief moments, however it isn't long before the shredding and wailing strums start up again. The drums are pushed far into the background to such a point that they can barely be heard at times over the loud solos and unstoppable power chord riffs, however they mostly stay with standard blast beats with some coarse hi-hat and cymbal excursions and some short rolls added in on the side. Title track "Deathmanicvs Revelation" is one of the more attention grabbing songs as it combines momentous riffs and drum patterns with some of the best solos and bridge adventures of the album. Even though it's a cover song, "A Violation of Something Sacred" comes in as a strong, close second with an entirely different mixing than the rest of the tracks; in this song the bass is at the forefront, explicitly showing off it's ultra quick walking lines and powerful pounding, while the lead guitar takes a backseat until later in the song. Other noteworthy tracks are "Curse of the Neverending" and "Death Returns". Along with the latter track, "Putrefaction" came over from the band's original demo, but as with "Morbid Oblivion" comes off as little more than generic thrash. An enjoyable but short ride, Deathmanicvs Revelation is a worthwhile listen for fans of old school and hellish thrash metal. 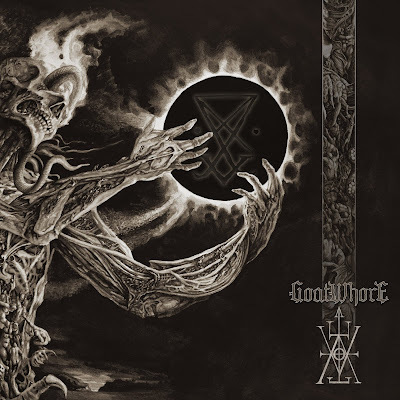 The album has a slight Lovecraftian overtone that's started from the beginning of the album with the atmospheric introduction track and further pushed in minor ways throughout the rest of the content, all the while a strong assortment of thrash compositions tear through the listener and leave them craving more by the end of it all. It's not necessarily groundbreaking or new material by any means, but well done originals nonetheless that make for a great second demo from Skelethal, who're proving themselves as a force to be reckoned with.